I finally managed to get round to spending the time to build a set that I’ve been wanting to create for a long time. 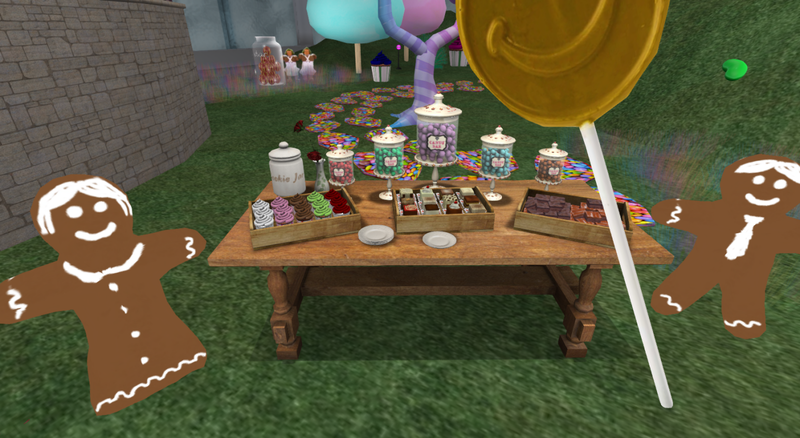 Being a huge fan of the original Willy Wonka & The Chocolate Factory movie, I couldn’t wait to build my own homage to the magical world dedicated to all things sweet. This set was a real labour of love and took probably a good 50 hours to build, over a period of several weeks. But I’m so happy with the final result. And of course, the true reward is hearing the enjoyment from the visitors as they walk into their childhood memories of a happy memory. 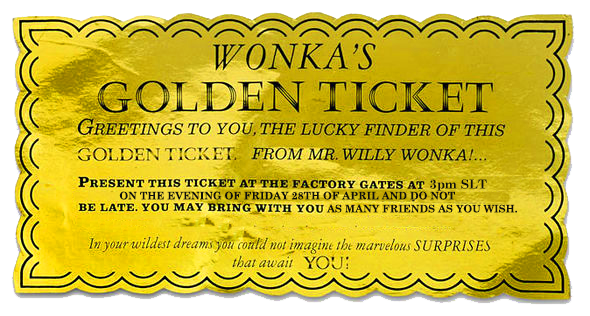 To remain true to the original story, all the members of Marcel’s received a very special Golden Ticket invitation, allowing them access to this highly prestigious event. 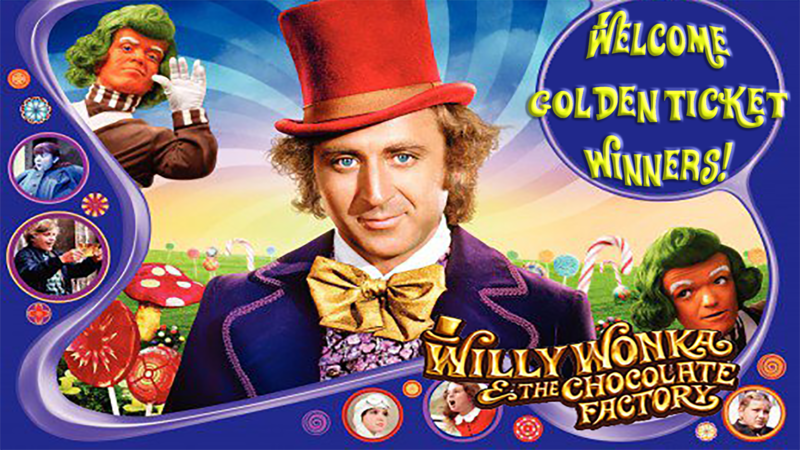 On the night of the event, the lucky ticket holders all gathered in the chocolate factory waiting room. As Gene Wilder sang the theme song, Pure Imagination, the guests wandered out into the main factory floor, gasping as the colourful sight before their eyes. 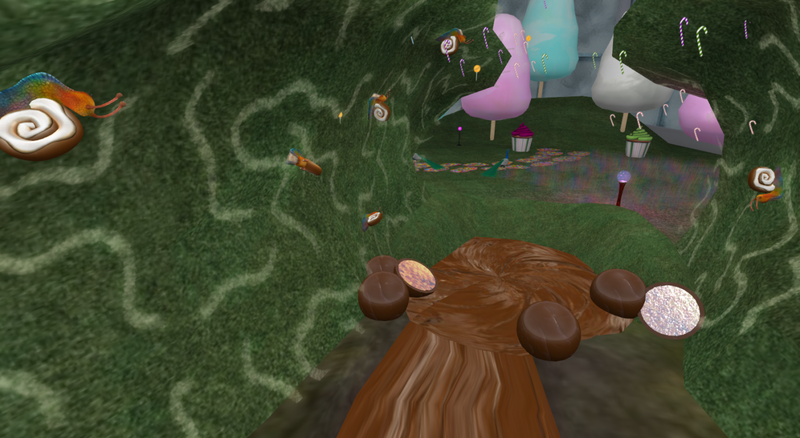 Cotton candy trees waved in the breeze as a chocolate chip cookie path led out and through a giant donut arch. Cotton candy clouds floated above a rainbow which arched over garden. The chocolate lake bubbled in the distance, where the chocolate was whipped into extra creaminess by the waterfall. 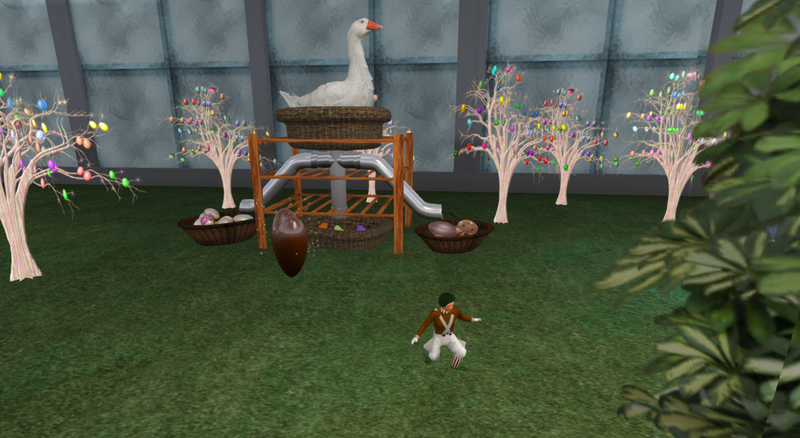 Skittles rained down over the Skittles hill, rolling down to where the giant goose was laying chocolate eggs for Easter. 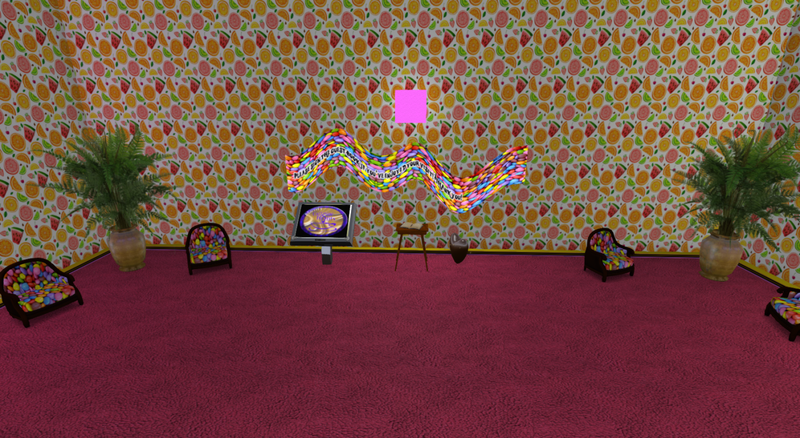 Off in one corner sits the giant jelly, surrounded by marshmallows, which lets you bounce up to the ceiling. 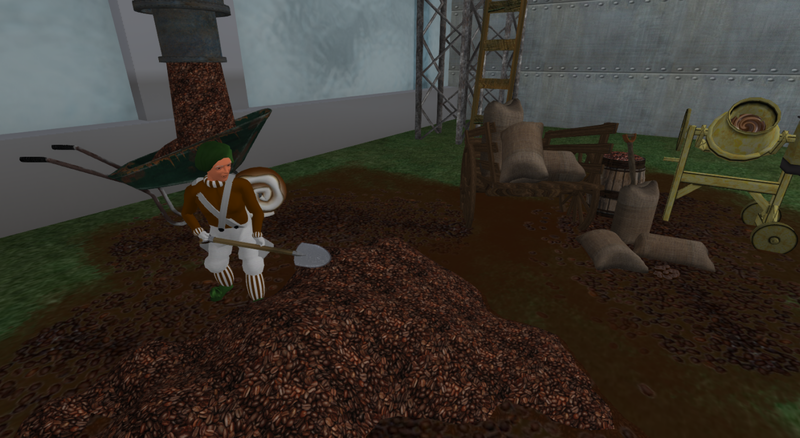 Over in the far corner is the chocolate gathering area where an oompaloompa is hard at work shoveling the cocoa beans. From there you can take a peek up into the secret work room where the plans for the next batch of chocolate recipes are being prepared. Tucked out of the way behind Jellybean Hill is the Fizzy Lifting Drink testing tube. (This is one of my favourite areas. You can test the bubbles in the Wonka Cola and float up into the tube). 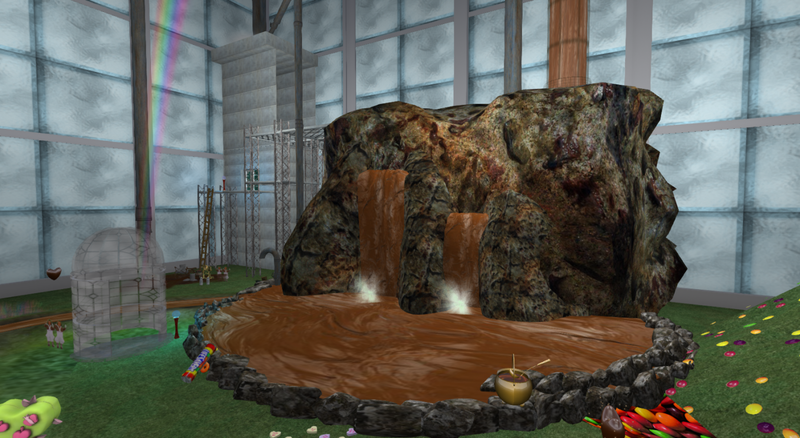 The chocolate river leads down to Jelly Bean hill where the cinnamon bun snails gently glow in the dark, illuminating the giant chocolate boulders. Almost everything in the garden will give out candy. The trees give out cotton candy; the chocolate river gives cups of hot chocolate; the bag of chocolate coins at the end of the rainbow gives out – you guessed it – chocolate coins; the buttercup flowers give out glasses of lemonade; the chocolate boulders give out bags of bonbons…and if all that weren’t enough for your sweet tooth, there’s even an actual goodie table serving yet more cakes and tasty treats. I had an absolute blast making this set and I like to think that my guests got just as much enjoyment from it as I did. Sword has done his usual magic and put together a wonderful piece of film to capture the atmosphere. After my main show, our lovely G-Winz dis his own take on the sugary theme, with another fabulous set of tasty tunes. Here are a few more photos from the combined evenings. The set is still available to visit as of today (21st May 2017) and will remain open for another couple of weeks or so, so if you would like to go along, just pop along to the main bistro at Marcel’s and jump on the teleporter outside the club: Marcel’s Bistro. And don’t forget to sign the visitors book! Have a great time and see you soon! 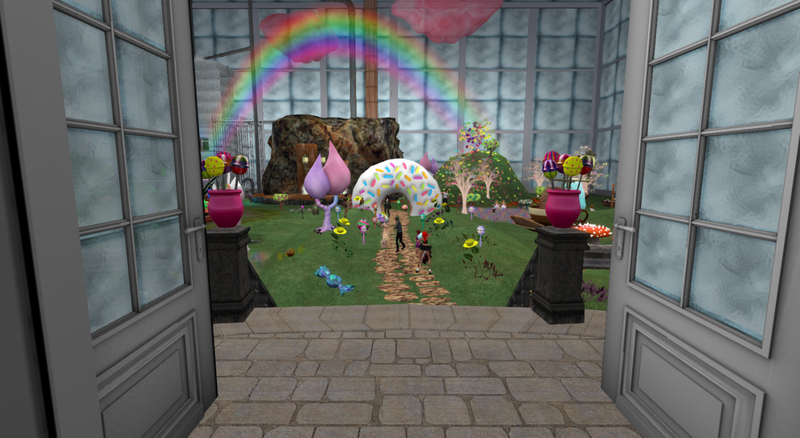 This entry was posted in Caffeine Nights, Marcel's, Themed Show and tagged candy, chocolate, chocolate factory, cookies, cotton candy, Gene Wilder, music, oompaloompa, sugar, sweets, Willy Wonka.